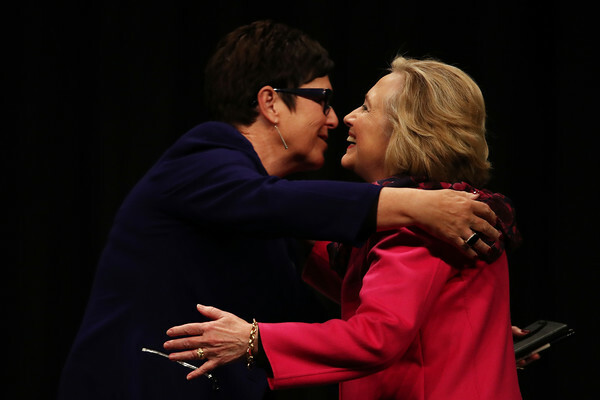 Wrapping up her tour down under, Hillary made a final appearance with Julia Gillard in Sydney. 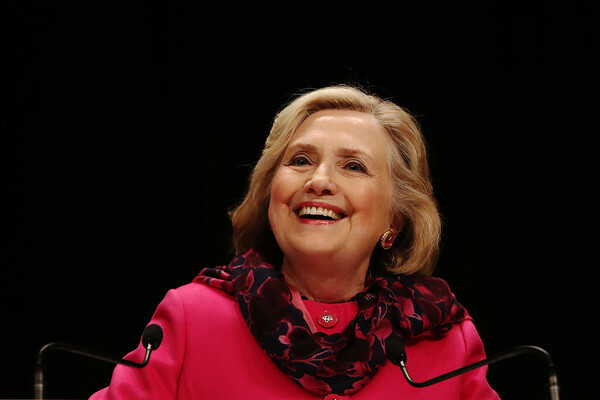 Hillary Clinton has wrapped up her speaking tour of Australia with an appearance in Sydney. 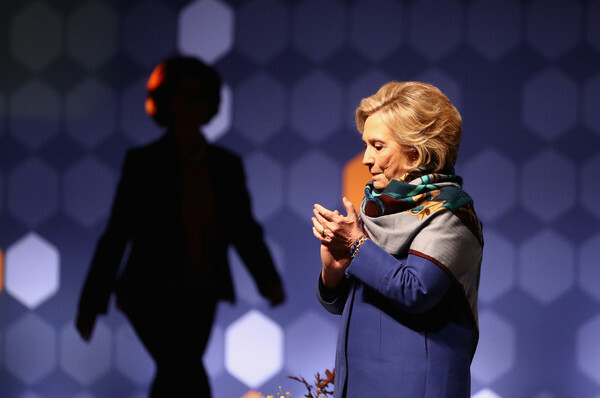 Hillary Clinton’s shock election loss in 2016 has been endlessly picked apart, from the highest levels of political commentary, to family dinner tables around the world. 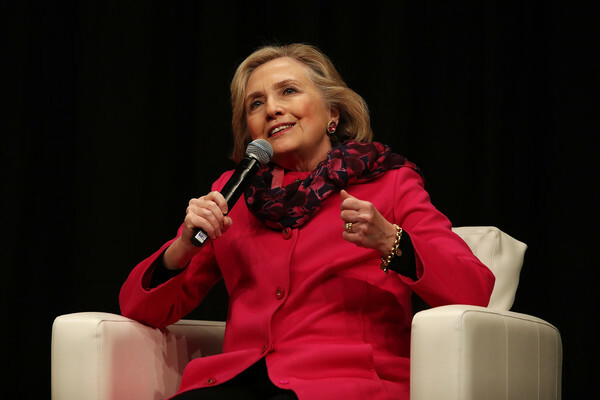 But this week, Australians were given the chance to hear from the battle-scarred former US presidential candidate herself. 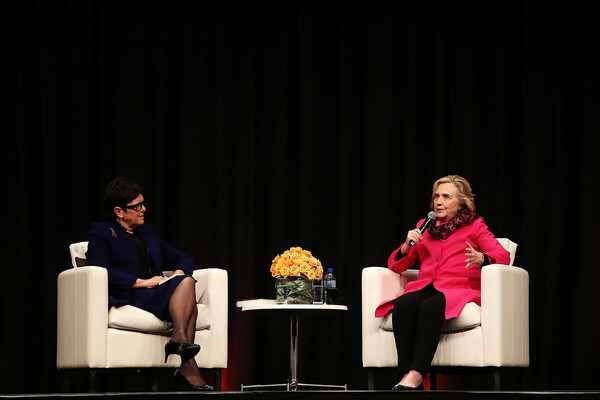 “People ask how I’m doing, I say as a person I’m doing OK, but I’m pretty concerned about America,” she told the largely supportive crowd in Sydney on Friday, after appearing in Melbourne on Thursday. Former US secretary of state Hillary Clinton (right) sits next to former Australian PM Julia Gillard during a Women World Changers Series event in Sydney. Reflecting on the immediate aftermath of the election, Ms Clinton credited “Australian chardonnay” as one of the things that got her through. 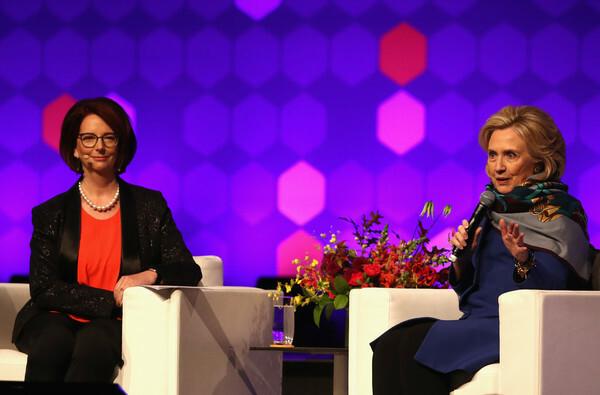 Julia Gillard, who as prime minister showed Secretary of State Hillary Clinton around Melbourne in 2010, welcomed her friend back down under on Thursday. 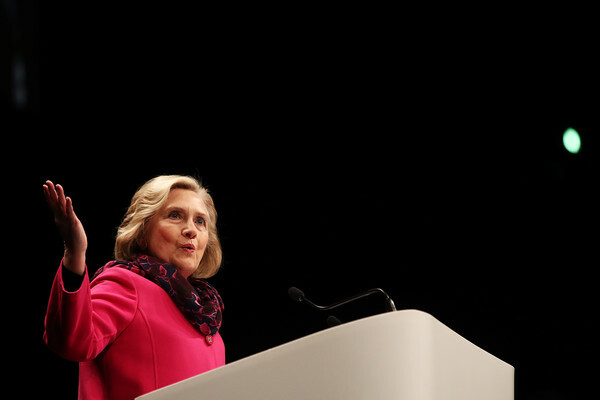 Ms Clinton said Australia must stand up to “under the radar” efforts to influence Australian politics as China extends its influence and power. 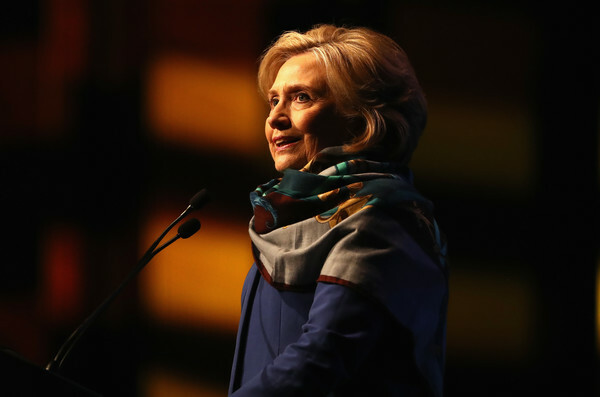 Former US presidential candidate Hillary Clinton is focusing on America’s mid-term elections, hoping the Democrats can win back at least one chamber of congress. Ms Clinton is on a brief, two-stop speaking tour in Australia, her first visit since losing the 2016 US presidential election to Donald Trump. 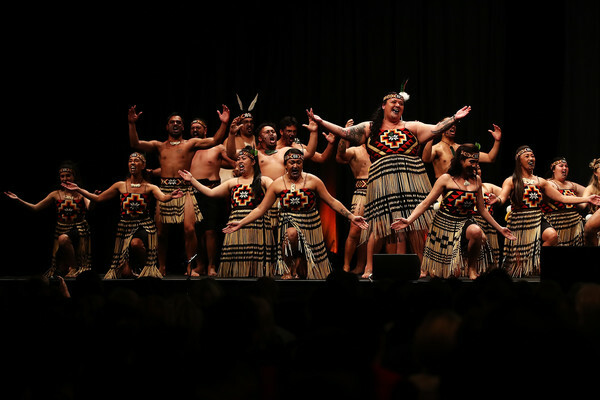 She shared a stage in Melbourne on Thursday night with former Australian prime minister Julia Gillard and will do so again in Sydney on Friday night. 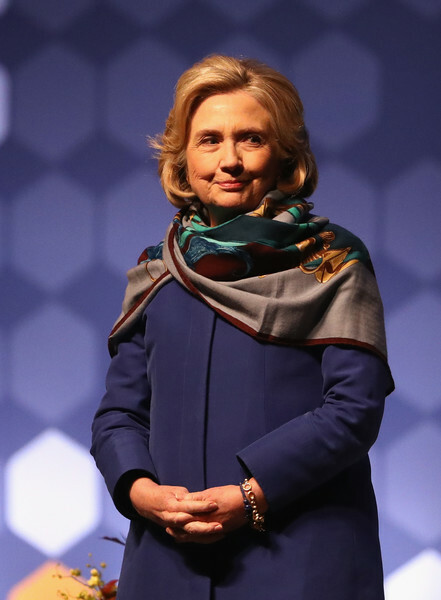 The former US secretary of state, who has ruled out another bid for the presidency, said her primary focus as a citizen is on the November elections. She noted the entire House of Representatives and one-third of the Senate were up for election. Hillary Rodham Clinton announces Julia Gillard to the stage during An Evening With Hillary Rodham Clinton at The Melbourne Convention and Exhibition Centre on May 10, 2018 in Melbourne, Australia. 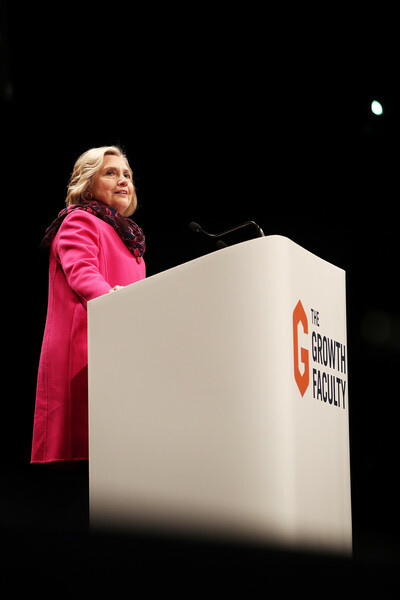 Hillary gave a TV interview and made an appearance at the Spark Arena in Auckland. 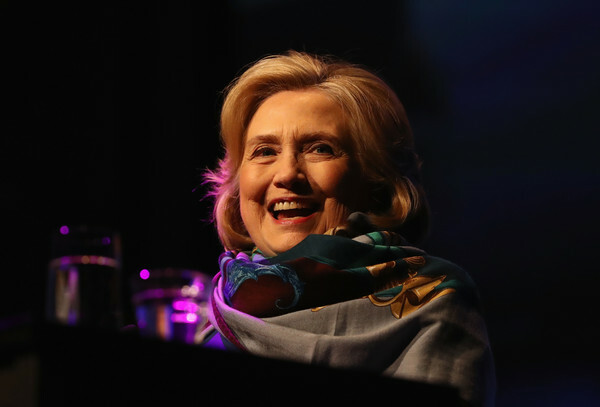 Hillary Clinton has ruled out running in the 2020 US presidential election but says she’ll be “very active” in this year’s mid-term elections. 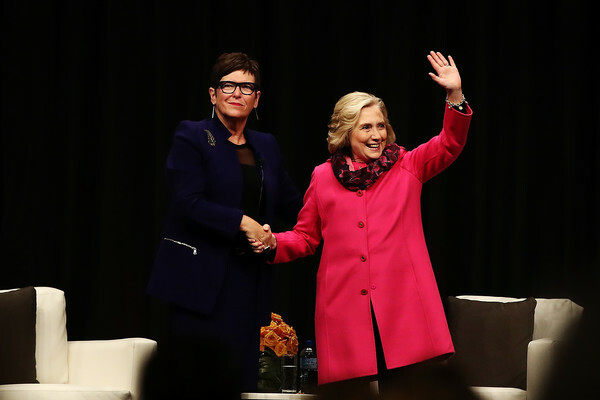 The former US Secretary of State, former First Lady and America’s first ever female presidential candidate spoke to Hilary Barry on TVNZ1’s Seven Sharp ahead of a speech at Auckland’s Spark Arena tonight. 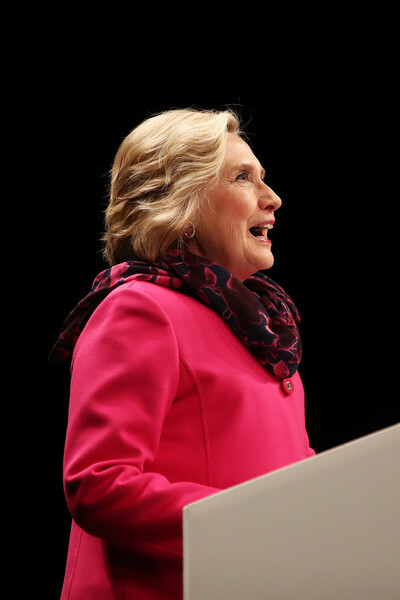 Now free from the constraints of public office, Ms Clinton is touring the globe, speaking frankly about what it was like to run in the most controversial US presidential election of all time in 2016. The mid-term elections in November will take place in the middle of President Donald Trump’s term. All 435 seats in the US House of Representatives and 35 of the 100 seats in the Senate will be contested. Hillary Clinton has spoken out against what she says are the “impossibly high standards” women who aspire to leadership roles are held to. 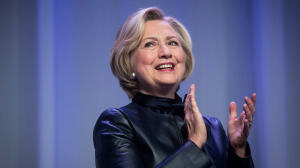 Speaking to an audience in Auckland tonight, Ms Clinton – who ran against Donald Trump in the 2016 US Presidential election quoted recent comments from former US First Lady Michelle Obama. “A few days ago Michelle Obama pointed out the consequences of holding women to impossibly high standards,” Ms Clinton said. 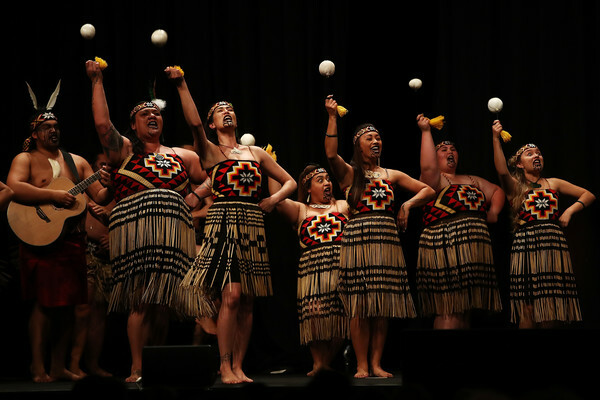 A Maori kapa haka group perform during An Evening with Hillary Rodham Clinton at Spark Arena on May 7, 2018 in Auckland, New Zealand. 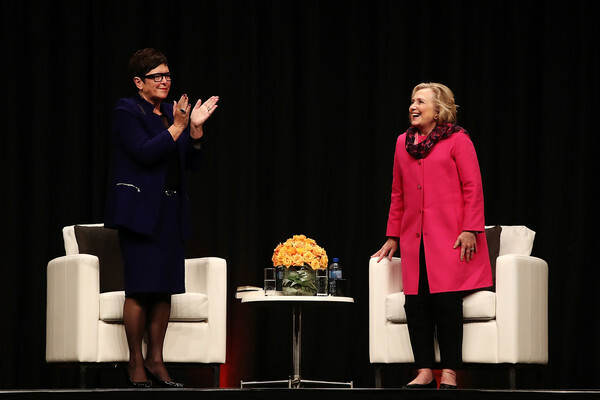 Former New Zealand Prime Minister Dame Jenny Shipley interviews Hillary Rodham Clinton speaks during An Evening with Hillary Rodham Clinton at Spark Arena on May 7, 2018 in Auckland, New Zealand. 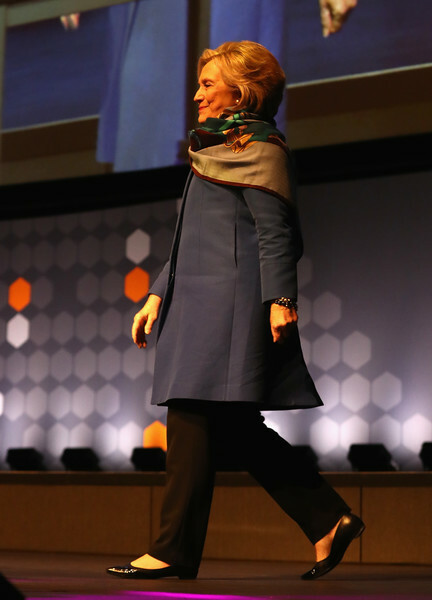 Speaking to a sold-out crowd at the Vancouver Convention Centre, former U.S. secretary of state and presidential candidate Hillary Clinton shared her views on her country’s political landscape, particularly in light of Roy Moore’s recent defeat in Alabama. Moore, a former judge, faced controversy leading up to the election as he was accused of sexual misconduct with teenagers when he was in his 30s. 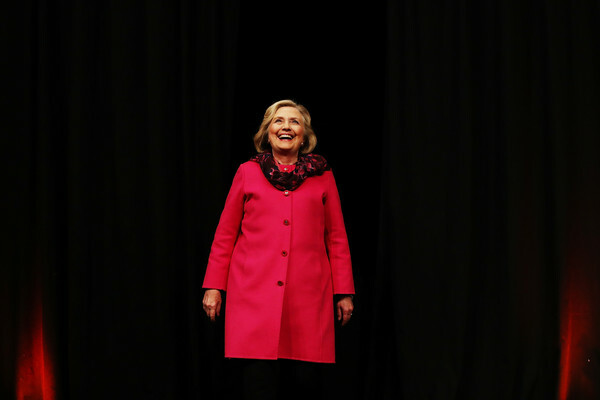 Ahead of Clinton’s talk, fans waiting outside said they hoped she would to take the opportunity to weigh in on the highly controversial candidate’s defeat. Well this is great! Linda Solomon Wood managed to transcribe as Hillary was speaking! Thank you, Linda! The line wrapped around the block of Elliott Bay Book Company Tuesday as people waited to meet Hillary Clinton during her book tour stop in Seattle. 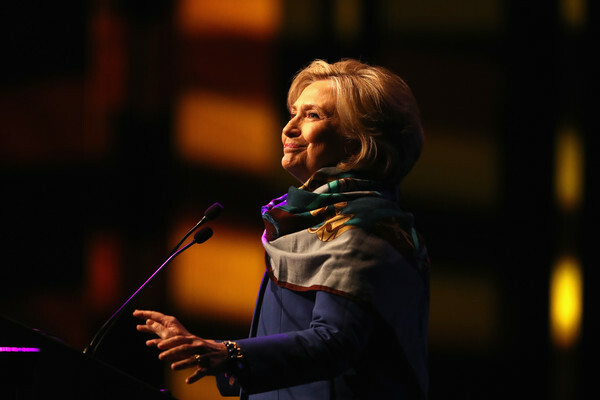 Clinton, the first female presidential candidate nominated by a major party, won the popular vote in Washington state during the election last year. 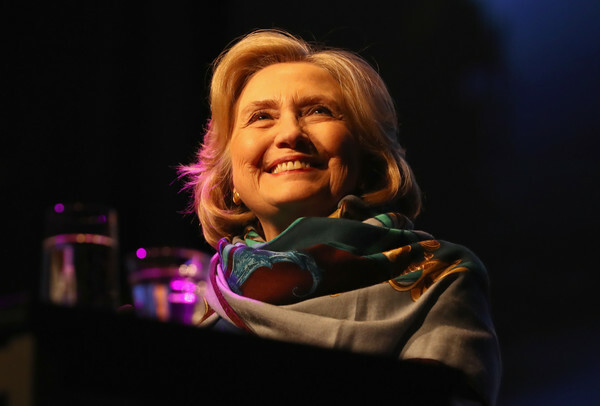 During her talk at the Paramount Theater Monday – sold out, with standing room only – she reflected on what she believes stopped her from becoming the first woman president. 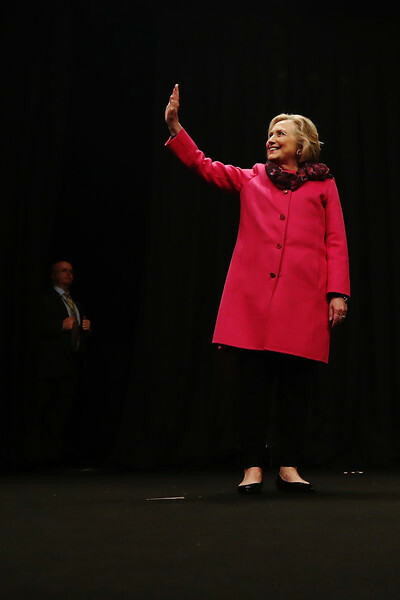 Many things not in her favor, she says, including FBI inference, uninspired voters, but most notably sexism. “These days when people say to me, ‘How are you?’ I say, ‘Well, as a person, I’m OK. As an American, I’m really concerned,’” she said. There had been arguments about whether the little pony, who is completely innocent in all of this, should be permitted at this one-man demonstration of … I don’t know… BernieHood? But Boot-Hat Guy received the permit and was there… in an allotted parking space. Is it that it is Hillary’s fault that everybody did not get a pony? Or is he a Hillary supporter, and this is satire of Bernie’s “everybody gets a pony.” In the article, the ponies are plural. Last I had seen, he had a permit for one pony in one parking space. Vermin Supreme pays for parking ahead of the arrival of ponies across the street from a Hilary Clinton book signing in Concord Tuesday. Hillary Clinton gets a laugh from Vermin Supreme, who was staging an event across the street from her book signing at Gibson’s in Concord on Tuesday. CONCORD – More than 1,000 Hillary Clinton fans crowded the South Main Street sidewalk in front of Gibson’s bookstore Tuesday morning, in a line that snaked around the block and through the store. They waited patiently in a soft winter rain, some for hours, to meet the former First Lady, U.S. Senator, Secretary of State and presidential nominee. Tickets to the event were $30, which included admission to the book signing and a signed copy of “What Happened.” The book’s cover price is $30, although some large retailers have priced it as low as $17. Most people walked through the line with no book in hand to exchange greetings with Clinton and picked up their signed copy on the way out. “We’ve got to keep fighting, don’t we,” she said to one fan, who expressed disappointment at the outcome of the 2016 presidential race. After two presidential campaigns with her husband, and two on her own, Clinton has made many friends in New Hampshire over the years. I hope the little pony is well cared for by this Boot-Hat Guy. We have a soft spot for New Hampshire. CONCORD, N.H. (AP) — Hillary Clinton returned to New Hampshire for the first time since the 2016 election on Tuesday, basking in a warm welcome and brushing off a question about President Donald Trump’s unsubstantiated claim that rampant voter fraud led to her victory in the state. “I love coming to New Hampshire, and I love the friends that I’ve made over 25 years now. So any chance I have to come back, I am anxious to take it,” she said shortly after the signing got underway. Clinton won New Hampshire’s four electoral votes, though Trump insists he lost the state only because “thousands” of people came by bus to vote against him. He also has created a commission to investigate allegations — offered without evidence — that millions of people voted illegally nationwide in 2016. 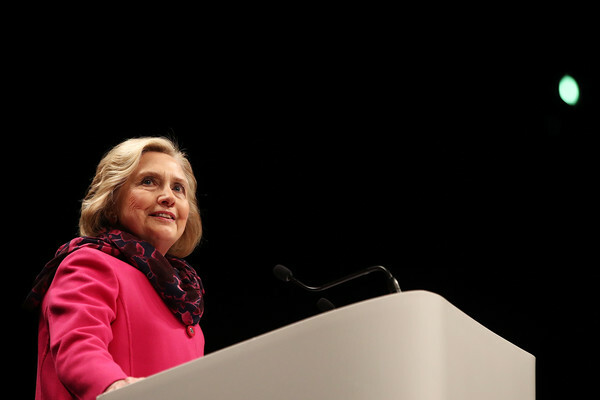 Clinton is in London to talk about What Happened, her rivetingly candid if shell-shocked account of her defeat to Donald Trump in last year’s US presidential election. As soon as she appears, it becomes very hard to believe she lost because voters found her cold. She greets Beard with a whoop of delight, exclaims, “This is fun!” does a very, very funny impersonation of Trump’s voice and, over the course of an hour, laughs a lot. Once seated, the physical contrast between the two women is arresting. 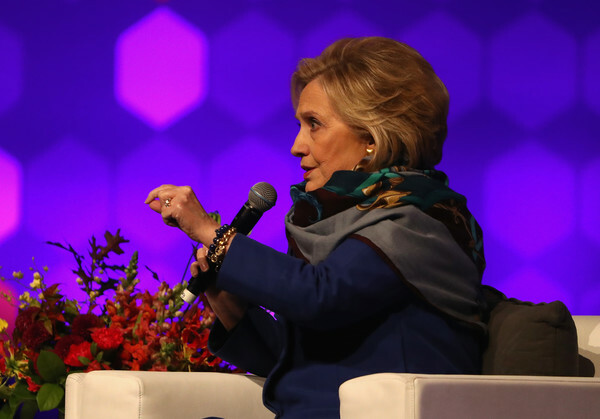 Clinton folds her hands carefully before her and confines her movements to slow nods of the head, while Beard gesticulates energetically as she talks, her whole upper body pitching and swaying. But the chemistry between them crackles, and Clinton conveys the impression of someone keen to see what she can learn from the academic.